15.10.13 - Two EPFL spin-offs, senseFly and Pix4D, have modeled the Matterhorn in 3D, at a level of detail never before achieved. It took senseFly’s ultralight drones just six hours to snap the high altitude photographs that were needed to build the model. They weigh less than a kilo each, but they’re as agile as eagles in the high mountain air. These “ebees” flying robots developed by senseFly, a spin-off of EPFL’s Intelligent Systems Laboratory (LIS), took off in September to photograph the Matterhorn from every conceivable angle. The drones are completely autonomous, requiring nothing more than a computer-conceived flight plan before being launched by hand into the air to complete their mission. Three of them were launched from a 3,000m “base camp,” and the fourth made the final assault from the summit of the stereotypical Swiss landmark, at 4,478m above sea level. In their six-hour flights, the completely autonomous flying machines took more than 2,000 high-resolution photographs. The only remaining task was for software developed by Pix4D, another EPFL spin-off from the Computer Vision Lab (CVLab), to assemble them into an impressive 300-million-point 3D model. The model was presented last weekend to participants of the Drone and Aerial Robots Conference (DARC), in New York, by Henri Seydoux, CEO of the French company Parrot, majority shareholder in senseFly. “We want above all to demonstrate what our devices are capable of achieving in the extreme conditions that are found at high altitudes,” explains Jean-Christophe Zufferey, head of senseFly. In addition to the challenges of altitude and atmospheric turbulence, the drones also had to take into consideration, for the first time, the volume of the object being photographed. Up to this point they had only been used to survey relatively flat terrain. Last week the dynamic Swiss company – which has just moved into new, larger quarters in Cheseaux-sur-Lausanne – also announced that it had made software improvements enabling drones to avoid colliding with each other in flight; now a swarm of drones can be launched simultaneously to undertake even more rapid and precise mapping missions. Always Innovating is working on a tiny flying video camera called the MeCam. The camera is designed to follow you around and stream live video to your smartphone, allowing you to upload videos to YouTube, Facebook, or other sites. And Always Innovating thinks the MeCam could eventually sell for just $49. The camera is docked in a nano copter with 4 spinning rotors to keep it aloft. There are 14 different sensors which help the copter detect objects around it so it won’t bump into walls, people. or anything else. Always Innovating also includes stabilization technology so that videos shouldn’t look too shaky. Interestingly, there’s no remote control. Instead, you can control the MeCam in one of two ways. You can speak voice commands to tell it, for instance, to move up or down. Or you can enable the “follow-me” feature which tells the camera to just follow you around while shooting paparazzi-style video. 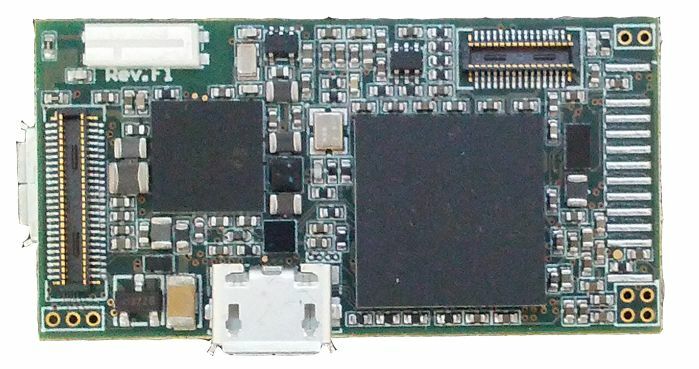 The MeCam features an Always Innovating module with an ARM Cortex-A9 processor, 1GB of RAM, WiFI, and Bluetooth. The company hopes to license the design so that products based on the MeCam will hit the streets in early 2014. If Always Innovating sounds familiar, that’s because it’s the same company that brought us the modular Touch Book and Smart Book products a few years ago. If the MeCam name sounds familiar, on the other hand, it’s probably worth pointing out that the Always Innovating flying camera is not related the wearable camera that failed to come close to meeting its fundraising goals last year. A few days ago The Pirate Bay announced that in future parts of its site could be hosted on GPS controlled drones. To many this may have sounded like a joke, but in fact these pirate drones already exist. Project “Electronic Countermeasures” has built a swarm of five fully operational drones which prove that an “aerial Napster” or an “airborne Pirate Bay” is not as futuristic as it sounds. In an ever-continuing effort to thwart censorship, The Pirate Bay plans to turn flying drones into mobile hosting locations. “Everyone knows WHAT TPB is. Now they’re going to have to think about WHERE TPB is,” The Pirate Bay team told TorrentFreak last Sunday, announcing their drone project. Liam Young, co-founder of Tomorrow’s Thoughts Today, was amazed to read the announcement, not so much because of the technology, because his group has already built a swarm of file-sharing drones. “I thought hold on, we are already doing that,” Young told TorrentFreak. 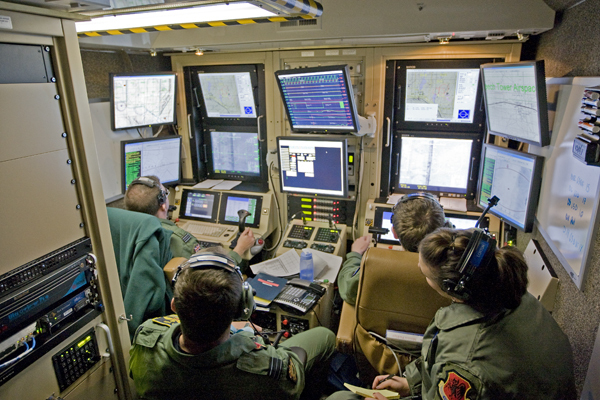 Their starting point for project “Electronic Countermeasures” was to create something akin to an ‘aerial Napster’ or ‘airborne Pirate Bay’, but it became much more than that. “Part nomadic infrastructure and part robotic swarm, we have rebuilt and programmed the drones to broadcast their own local Wi-Fi network as a form of aerial Napster. They swarm into formation, broadcasting their pirate network, and then disperse, escaping detection, only to reform elsewhere,” says the group describing their creation. In short the system allows the public to share data with the help of flying drones. Much like the Pirate Box, but one that flies autonomously over the city. “The public can upload files, photos and share data with one another as the drones float above the significant public spaces of the city. The swarm becomes a pirate broadcast network, a mobile infrastructure that passers-by can interact with,” the creators explain. One major difference compared to more traditional file-sharing hubs is that it requires a hefty investment. Each of the drones costs 1500 euros to build. Not a big surprise, considering the hardware that’s needed to keep these pirate hubs in the air. “Each one is powered by 2x 2200mAh LiPo batteries. The lift is provided by 4x Roxxy Brushless Motors that run off a GPS flight control board. Also on deck are altitude sensors and gyros that keep the flight stable. 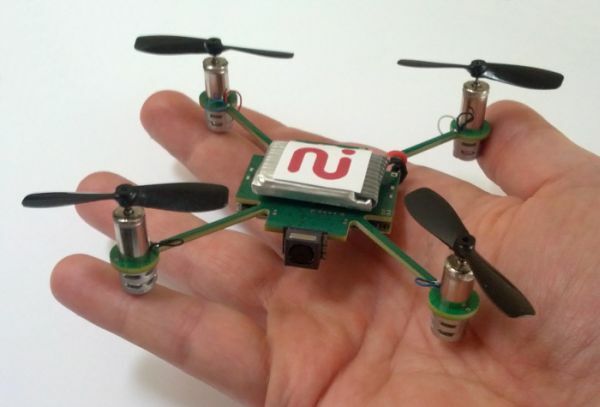 They all talk to a master control system through XBee wireless modules,” Young told TorrentFreak. For Young and his crew this is just the beginning. With proper financial support they hope to build more drones and increase the range they can cover. “We are planning on scaling up the system by increasing broadcast range and building more drones for the flock. We are also building in other systems like autonomous battery change bases. We are looking for funding and backers to assist us in scaling up the system,” he told us. Those who see the drones in action (video below) will notice that they’re not just practical. The creative and artistic background of the group shines through, with the choreography performed by the drones perhaps even more stunning than the sharing component. 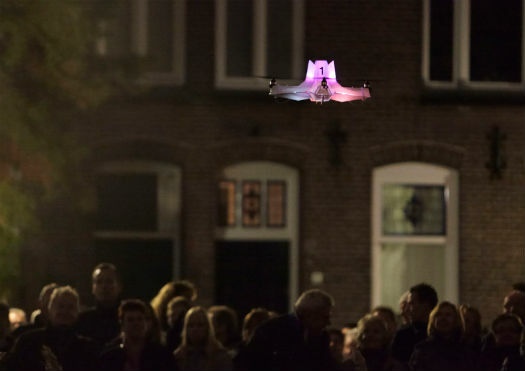 “When the audience interacts with the drones they glow with vibrant colors, they break formation, they are called over and their flight pattern becomes more dramatic and expressive,” the group explains. Besides the artistic value, the drones can also have other use cases than being a “pirate hub.” For example, they can serve as peer-to-peer communications support for protesters and activists in regions where Internet access is censored. Either way, whether it’s Hollywood or a dictator, there will always be groups that have a reason to shoot the machines down. But let’s be honest, who would dare to destroy such a beautiful piece of art? Electronic Countermeasures @ GLOW Festival NL 2011 from liam young on Vimeo.